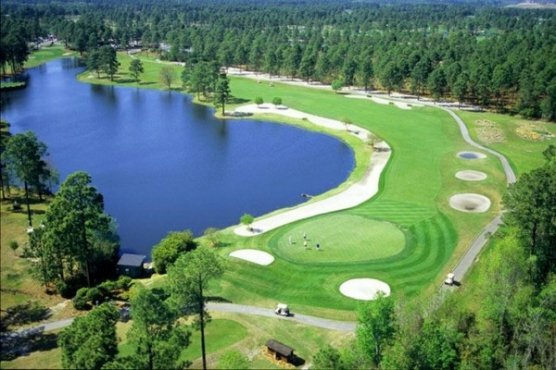 Reopened in 2013, Colonial Charters Golf Club is a friendly Myrtle Beach golf course that will challenge the golfers that play the 18 hole, par 71 course while keeping you relaxed with a natural wooded backdrop during your round of golf. Colonial Charters, located off Hwy 9 in Longs, SC is part of the Founders Group, which has 22 Myrtle Beach golf courses in their portfolio. This course requires thoughtful shot making – with several options available to each golfer. A great course for all golfers, women, juniors, and seniors will also enjoy this Myrtle Beach golf course due the length, especially when playing from the correctly chosen tee box. Accuracy is key on this golf course as 16 holes contain water hazards including two holes with greenside waterfalls and 4 holes that have forced carry shots (9, 11, 16 and 17 – all water carry shots are on the back side of this course). Long hitting golfers should enjoy this course, especially the risk-reward aspects. The greens are TifDwarf Bermuda to help ensure a smooth roll for your putts. Before you tee up your first shot for your round of golf at Colonial Charters Golf Club, be sure to visit the driving range, chipping and putting green or see one of their PGA pros for a lesson. You will notice that the front and back 9 are very different. On the front, you will have to manage your shots and not be out of bounds where you will find many houses on every hole. On the back, there are pretty much no houses until you get to the final 3 holes with your main objective to stay out of the pine trees that are abundant. The first hole is known as the most intimidating of all the holes on the golf course. A large tree sits in front of the green obscuring it from view, water runs down the left side of the hole while trees and houses frame the right side of the hole. When standing at the tee box, it will look like the fairway is almost non-existent. We advise you hit your tee shot down the right side and your approach shot to the left of the green. Colonial Charters Golf Club is a great choice for your Myrtle Beach golf package, especially for those looking for a budget conscience choice. 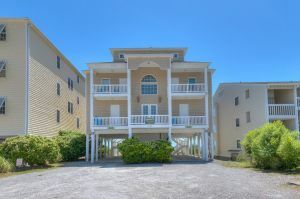 Located on the north end, this golf course pairs perfectly with the hundreds of accommodations in the North Myrtle Beach area that we have to offer.